THURSDAY, Jan. 18, 2018 (HealthDay News) -- More American women started getting recommended mammography screening after an "Obamacare" rule made the tests free, a new study finds. The rule meant that Medicare and most private insurers could no longer require women to foot part of the bill -- whether through copays or requiring them to pay a deductible first. That's the good news. The worry is what could happen if the Affordable Care Act rule is repealed, said lead researcher Dr. Amal Trivedi, an associate professor of medicine at Brown University in Providence, R.I.
"Our study suggests that if the cost-sharing provisions are repealed and health plans reinstate copayments for screening mammograms, fewer older women will receive recommended breast cancer screening," Trivedi said. "That could harm public health." Medical groups vary in their recommendations on mammography screening. The U.S. Preventive Services Task Force -- an expert panel that advises the federal government -- has this advice for women at average risk of breast cancer: Get a screening mammogram every two years, between the ages of 50 and 74. Trivedi's team looked at how often that advice was followed by women in Medicare Advantage plans, which enroll almost one-third of all Medicare beneficiaries in the United States. The improvement was not uniform, though. There was no benefit seen among Hispanic women. The gains also varied based on women's education levels. So while free screening helps, it's not the whole story, according to Trivedi. "This finding suggests that the elimination of cost-sharing alone is not sufficient to address disparities in mammography screening, or to raise screening rates to desired levels," he said. According to Trivedi, better "outreach" may be needed, to make sure underserved women know they can get free mammograms. But it's also possible those women face other obstacles, he said. Laura Skopec is a senior research associate with the Urban Institute's Health Policy Center in Washington, D.C.
She agreed that other barriers exist. "These findings could be picking up a lack of mammography clinics in women's neighborhoods," Skopec said. "Transportation can be a big issue for older, lower-income women." Plus, for women still working, time and money can be an obstacle. "It's not free if you have to take time off from work," Skopec said. 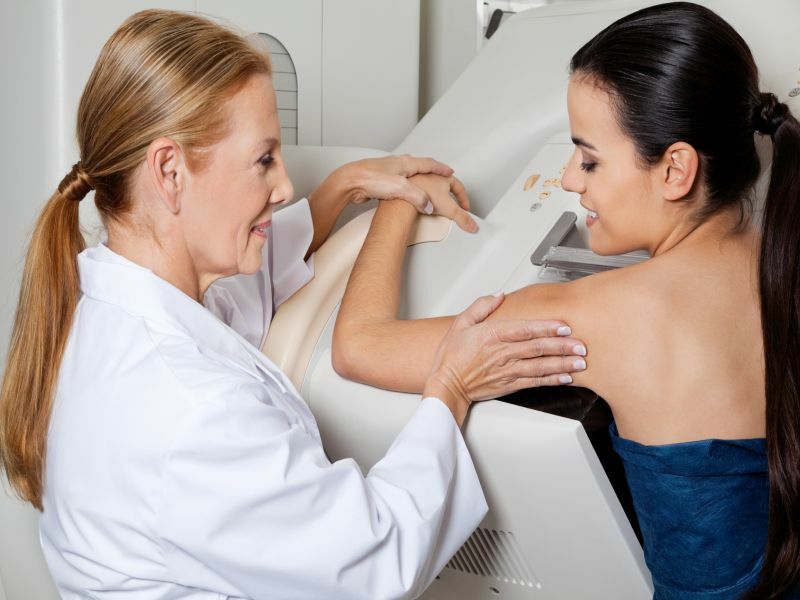 Beyond that, she said, many women may be confused about mammography screening -- since guidelines vary and women may read or hear conflicting messages. "Women may need more education around their insurance benefits, and also around mammography in general," Skopec said. And, Skopec said, it would not really be a "high value" move for plans to do so.